These CDs help you lead memorable moments in your FaithWeaver NOW lesson. They include songs and sound effects. 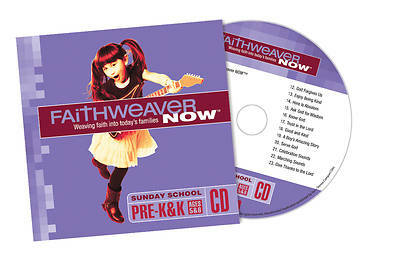 One CD is included in each FaithWeaver NOW Teacher Pack—purchase extras to simplify team teaching! Having extras comes in handy when planning for additional programming times. They also make great gifts for kids at the end of the quarter to remind them of what they learned.